Published: Aug. 18, 2018 at 08:00 p.m.
Dallas Cowboys QB Dak Prescott scrambles to keep the play alive and finds wide receiver Terrance Williams for a 6-yard touchdown reception. Published: Nov. 23, 2017 at 07:07 p.m.
Dak Prescott finds Terrance Williams for 39-yard gain. Published: Nov. 5, 2017 at 05:51 p.m. 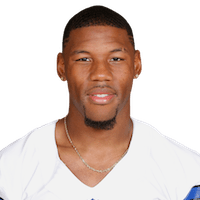 Published: Jan. 1, 2017 at 01:52 p.m.
Dallas Cowboys QB Tony Romo finds wide receiver Terrance Williams for a 3-yard touchdown.